What happens when you take the basic concept of a growler refill station and decide to take it National? Well, what happens is, you get something like Growler USA. Founded in 2013 by Dan White (CEO), Dave Shaw (President), and Vern Whittaker (Retired CFO), Growler USA now has 10 locations across the U.S. and are slated to open 50 more throughout 2017-2018. Each location boasts up to 100 taps of beer (including microbrewed craft beers), hard cider, draft wine & kombucha, plus an extensive food menu. Their tap list varies by location, of course, in order to offer locally-sourced options for their patrons, and their “True to the Brew” system ensures that each brewer’s vision for their product is honored. Things are kept tightly controlled all the way from keg delivery and storage (using ‘gentle’ keg handling systems to avoid sloshing), to a meticulously maintained tap system and the proper glassware for each pour. Yesterday afternoon I took a trek out to their Redmond location, courtesy $30 in credit from Growler USA, to see what they had to offer first hand. Each year around this time, there’s a big party out in Redmond. If you’re a fan of Black Raven Brewing Company (CBM Sponsor), then you know that I’m referring, of course, to their annual Flock Party anniversary celebration. Set to take place on Saturday, May 6th from noon – 7 pm, this year’s Flock Party will include live music, plenty of ‘rare birds’ (rare and unique Black Raven beers, including some Tiki-drink inspired infusions this year), food, a retail merchandise booth and even an outdoor cigar lounge/booth. Well-behaved and leashed dogs will also be welcome and, if you run short on cash, there will be an ATM on site. Summer is almost here. It may not officially start until June 21st, but things are warming up out there and we’re starting to see other signs of Summer’s return as well. For example, the return of Lima Loca Mexican Lager from Two Beers Brewing Company (CBM Sponsor). This Summer-inspired brew returns this year as pat of Two Beers’ new Pub Series and even has a brand new look. It will launch next Tuesday the 2nd with a Taco Tuesday release party from 3 pm – 9 pm at The Woods taproom (the shared taproom for Two Beers Brewing Company and Seattle Cider Company), and will even be available in three limited-edition infusions: Raspberry Lima, Agave Rosemary Lima Shandy and Coconut Lima. Seattle Beer Week is almost here. Things get under way next Thursday the 4th with the Kickoff night tour and, of course, the on-tap launch of the Official beer of Seattle Beer Week 2017: Fresh Off The Farm IPA from Bale Breaker Brewing Company. Each year, Seattle Beer Week (SBW) partners with a different Washington brewery (or, in the case of SBW #6 in 2014, they partnered with six breweries), to produce the Official beer of SBW. This year Bale Breaker is honored to be the first brewery from Yakima Valley to be selected. In addition to brewing the official beer of SBW 2017, Bale Breaker also has several events setup throughout the week. It is a period of cheesy war. Rebel food trucks striking from hidden kitchens are seeking victory against the evil lactic empire and the stakes are high. They’ll need help from the Rebel Legion and the 501st Legion (who will be in attendance wearing costumes from the actual movies) if they are to be victorious. Your little Wookiees are welcome at this event too, as there will even be a Star Wars themed dog costume contest before the Roquefort-themed food truck competition kicks off. Seattle Beer Week is just around the corner. It kicks off on Thursday, May 4th and runs through Sunday May 14th. Just two days into the festivities though, on May 6th, Lucky Envelope Brewing is set to celebrate their 2nd Anniversary. Lucky Envelope has been cranking out craft beers in Ballard since 2015 and now, they’re ready to mark the occasion with a new Anniversary IPA and three bottle releases. Then, one week after their anniversary, they’ll be hosting another event as part of their celebration of Asian American and Pacific Islander Heritage Month. We’re fortunate in the Seattle area to have such a plethora of craft beer festivals to attend, pretty much year-round. In addition to being a great way to enjoy and share our love of craft beer, many of these festivals also serve to benefit various non-profit organizations and other worthy causes. Well, get ready for one more festival in town as Elysian Brewing Company prepares to host the first ever Search Party this July at the Seattle Center. 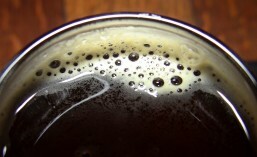 Pike Brewing Company has been a fixture of the Seattle craft beer scene since way back in 1989. Founders Charles and Rose Ann Finkel have also been instrumental in helping expand the craft beer scene across Seattle and indeed across the nation. Their tireless work to help promote craft beer as well as all the wonderful craft beer and food parings that are possible out there has been an inspiration to countless brewers and chefs. Now, Charles and Rose Ann are preparing for Pike’s biggest expansion in over 21 years. Pike Brewing Company is pleased to announce Tankard & Tun. Coming this Summer, Tankard & Tun is a new restaurant, oyster bar and brew deck that will also provide Pike with an expanded brew cellar. Meat and cheese. Cheese and meat. They go together like bread and butter, like rhythm and blues, like Kayne West and being a douche. If you agree, then you’ll definitely want to check out the Cheese And Meat Festival, coming to McCaw Hall (321 Mercer St.), this coming Saturday, April 29 from 7 – 9 pm. This celebration of charcuterie and artisan cheeses paired with local wines, ciders and beers features several local artisans, including Salumi, Jellyfish Brewing, Mollusk, FinnRiver Cidery and many, many more.